Back in June the Cult Film Club watched a movie from last year called Ping Pong Summer. It’s a quirky summer comedy set during the summer of 1985 in Ocean City, Maryland. We all loved it. Well, one of the locations that is lovingly showed throughout the movie is a community center/arcade called The Fun Hub. It has air hockey, ping pong and a ton of video games. So, I think it’s time for one of my patented video arcade walk throughs, don’t you? If you haven’t seen the movie, I urge you to watch it. It’s pretty great. Now check out the awesome, awesome arcade in which most of the movie is based, The Fun Hub. Brad (nicknamed Rad) and his family arrive in Ocean City, MD for their summer vacation. While there, Rad walks into town and finds Anthony’s Beer & Wine. Here our hero, gets schooled in proper Icee pouring etiquette. Then he’s told about a door hidden in the alley behind Anthony’s. That door leads to the Fun Hub. Within the Fun Hub are games galore for all types. There are skill games like air hockey and ping pong as well as arcade games lining the blue cinder block walls. Let’s see how many games we can identify. I get lots of help from The International Arcade Museum. 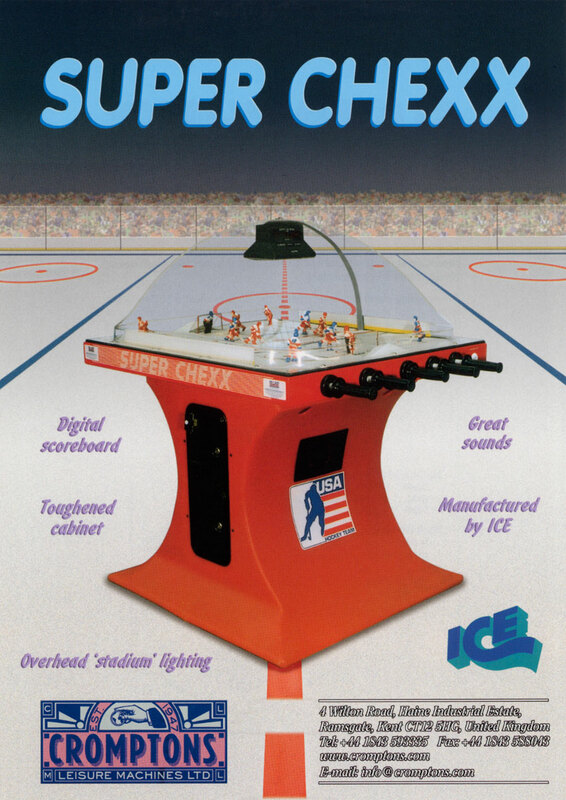 As you can see in the establishing shot of Fun Hub above, our first games to see are the air hockey table on the right as well as this Super Chexx Hockey table from 1983. This game may look familiar as it was seen previously in the Golf n’ Stuff arcade in Karate Kid. Here’s a quick shot of Data East’s Karate Champ (right) and Capcom’s Commando (left) machines. The former is one of my favorite fighter games and I recently got to play it at The Galloping Ghost arcade in Illinois. The other is the precursor to the much more popular Bionic Commando game. Here are the heroes of our movie, Rad and Teddy. Just over Rad’s right shoulder is Nintendo’s Donkey Kong Jr from 1982. 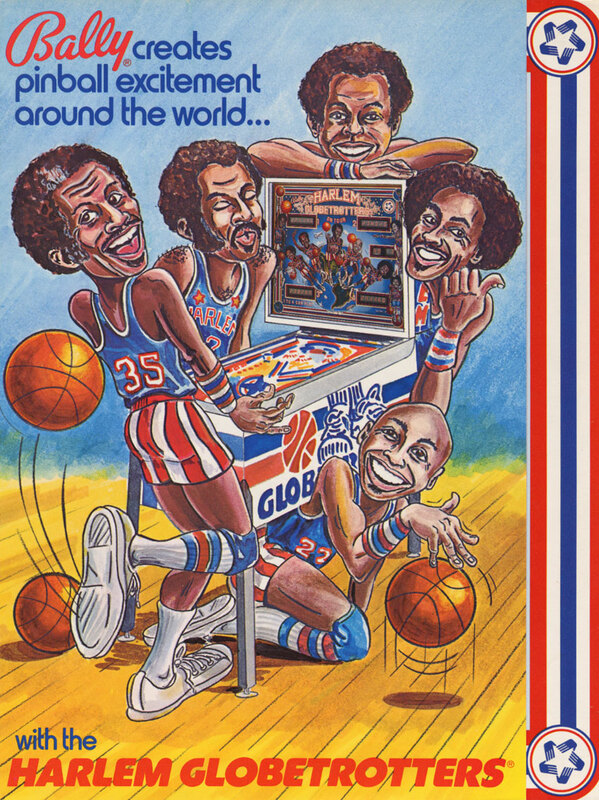 Just over his left shoulder is the amazing Harlem Globetrotters On Tour pinball machine by Bally from 1979. I love pretty much all things Harlem Globetrotters, so this was a nice one to spot. The guys actually play the Globetrotters pinball later in the movie and you get a great shot of the awesome art and lights in the table. Here’s Rad again, this time standing in front of Midway’s Pac-Man from 1980 (left) and Burgertime from 1982 (right). Teddy’s standing in front of four very classic games. Left to right we have Konami’s Hyper Sports from 1984, Nintendo’s original Mario Brothers from 1983, Atari’s stand up Pole Position cabinet and, finally, the classic 1982 Nintendo Popeye game. I’m used to the sit down cockpit version of Pole Position so it’s cool to see the rarer (in my eyes) stand up cabinet. I fondly remember that Popeye game from a supermarket where I grew up. Every time we’d go for groceries I’d get my mom to let me play it while she shopped. Here’s a shot of the games further to the left of Hyper Sports. On the far left is Merit’s Tic Tac Trivia from 1985. Huh, interesting. In the very middle is a bowling game called Alley Master by Cinematronics. It was released in 1988, three years after this movie is supposed to take place. I guess the filmmaker didn’t count on the Cavalcade of Awesome breaking down the inventory of The Fun Hub. This is one of the unbelievably awkward villains in the movie. And I mean in that the best way. He’s weird and great at the same time. Anyway, behind him, in the far right of this pic you can see the Commando game I mentioned earlier. On the left, you can see two more classic games, Sega’s Zaxxon and Namco’s Galaga. On the left here you can see the previously mentioned Pole Position stand up cabinet as well as the corner of the Popeye game’s marquee. To the right before the yellow door is Midway’s Ms. Pac-Man. Here’s an interesting lower level shot with a corner of the Fun Hub we haven’t yet seen. In the middle you can see the Harlem Globetrotter pinball machine I mentioned. On the right is the sit down cockpit version of Pole Position. Which means the Fun Hub has both the stand up and sit down versions of Pole Position. That’s pretty awesome. This goofy pic of Rad fills out the back wall of the Fun Hub. You can see the Galaga and Zaxxon machines in the back. On the far right is a machine I’ve never heard of called Samurai. 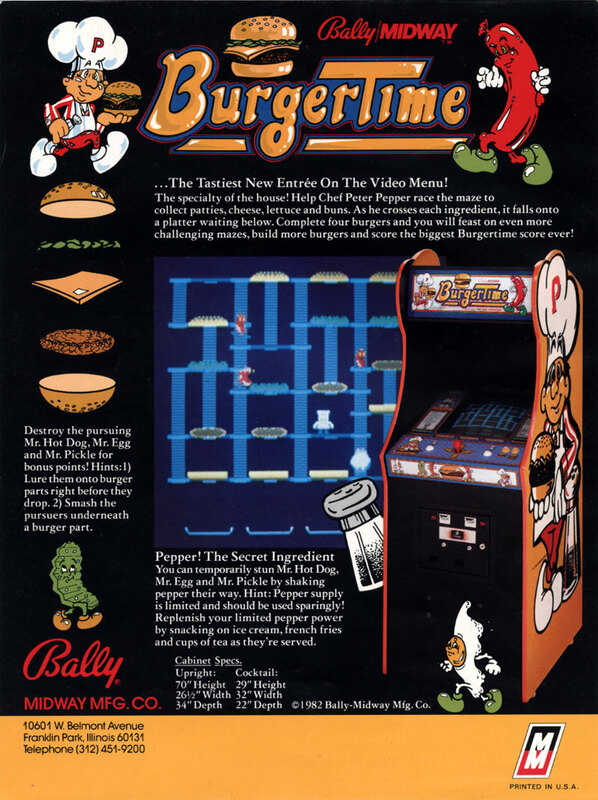 It’s by Sega and was released in 1980. On the far left is the classic Space Invaders by Midway in 1978. And that’s the contents of the crazy awesome Fun Hub from Ping Pong Summer. They had a lot of really good games in that place. And because I’m weird and OCD like that, I drew out what I believe is the floor plan of the Fun Hub. It helped me figure out where everything was because I was getting confused whether I had covered a specific wall or not. This entry was posted on July 22, 2015 at 7:00 am and is filed under movies, nostalgia, pop culture, video games with tags arcades, Cavalcade Arcade, movies, nostalgia, pop culture, video games. You can follow any responses to this entry through the RSS 2.0 feed. You can skip to the end and leave a response. Pinging is currently not allowed. Love every single thing about this! I absolutely love these articles. I love retro video games of course, but I also love the investigation involved in trying to work out what the machines are (like Shawn’s bedroom posts where he works out what the toys and things are), but I also love imagining how great it must have been for the props guys in the movie getting the set dressed. I’m sure they had a few games after the director called ‘wrap’ for the day. Have you done WarGames in this series yet, by the way? Apologies if I’ve missed it! I’ve rewatched the arcade scenes myself several times but the camera moves pretty quick so it would be quite a challenge to name them all. Wargames is absolutely on my list. It’s one of my favorite movies of all time, so I want to make sure I can do it up right. Glad you like this series. It’s fun to do all the investigating. Fantastic. WarGames is my no.1 film of all time. I know I’ve mentioned it a few times on my comments on CFC hoping you guys will cover it there ;-). An arcade blog post here would do just nicely to tide me over ;-). Keep up the great work.